Users contributing content (images, text, video) to the CKC Digital Repository are required to register and create an account. When registering, you will be asked to provide certain personal information, such as your name, zip code, and email address. CKC uses this information to manage user accounts, communicate with users, and provide related services. CKC will not sell or share this information with any other parties. You agree not to create an account using false or misleading information or on behalf of someone other than yourself. Any accounts created using intentionally misleading information are subject to termination at CKC’s sole discretion. You will have the opportunity to establish a username. Please note that using a pseudonym as your username on the Services would not violate this provision. 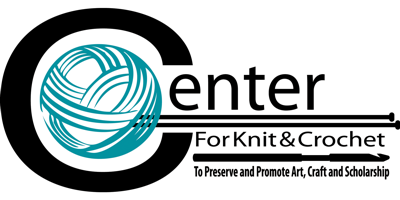 The Center for Knit and Crochet (CKC) through its CKC Digital Repository allows users to upload and post content (User Content) in the Contribute section. By uploading User Content, you represent and warrant that you have all rights necessary to upload the content and that you grant these rights to the CKC. By uploading or posting your User Content to the Services, you grant CKC a perpetual, irrevocable, world-wide, non-exclusive, fully paid-up, royalty-free, sublicenseable, and transferable license to use, reproduce, reformat, distribute, prepare derivative works of, display, and perform your User Content in connection with the Services. By uploading or posting your User Content to the Services, you also agree to allow CKC to license your User Content under the Creative Commons Attribution 3.0 Unported License, the terms of which are available at http://creativecommons.org/licenses/by/3.0/legalcode (otherwise known as the “CC BY 3.0 License”), to allow others to freely re-use and adapt your User Content with proper attribution.